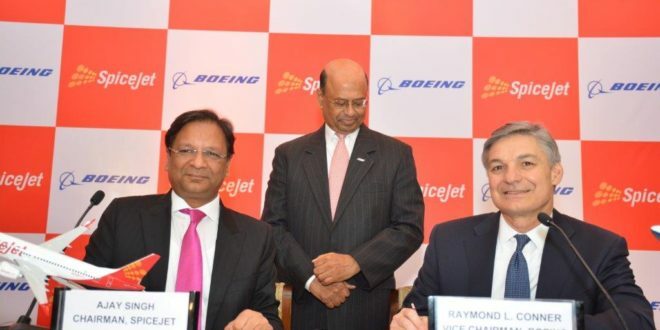 L&R Ajay Singh, CMD, Spicejet, Ray Conner, Vice Chairman, Boeing. In the middle Dinesh Keskar, SVP (Sales) for Asia-Pac and India, Boeing. Spicejet photo. Indian low fare carrier, Spicejet, has signed a record order with Chicago USA based Boeing for 100 737 MAX 8s thus signalling its resurgence from a near collapse two years ago. 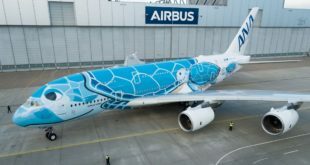 The carrier already has a firm order for 55 737 MAX 8s, and it has purchased options for up to 50 additional Boeing aircraft including wide-bodies, which are suspected to be the new generation 787 Dreamliner. The total order of 155 firm and 50 options are valued at over $22 billion (Rs 1.5 trillion) at list prices though massive discounts are the norm on such large orders. Deliveries should start in July 2018. Like at fellow Indian carriers Jet Airways and Air India Express, the Boeing 737 NG is the mainstay of the Spicejet fleet which operates 32 of these aircraft, along with 17 Bombardier Q400s. The MAX, with its improved performance will open routes as far away as Turkey and Indonesia from Spicejet’s New Delhi hub while helping the airline cut down its fuel costs by as much as 20%. 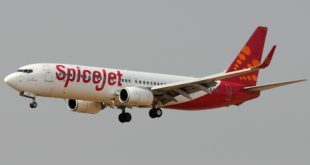 Despite much media speculation on whether the carrier would order Airbus A320 aircraft, we at Bangalore Aviation were steadfast in our belief that Spicejet would recover from its financial problems in the winter of 2014, and that it would order Boeing aircraft. As we understand, Boeing stood by and supported Spicejet during the darkest days of the airline’s financial crisis in the winter of 2014. That loyalty was reciprocated today, and the fact that no less than Ray Conner, the Vice Chairman of Boeing, flew to New Delhi for the announcement, speaks to strength of the relationship. For Boeing it is a win they desperately needed in India, after the record orders on Airbus by IndiGo and Go Air.